According to a new environmental review document, Los Angeles International Airport (LAX) is poised for a large expansion that could add up to two new terminals and nearly two dozen new gates to help handle the influx of travelers headed to the city for the 2028 Olympic Games. Urbanize.LA reported that the plans call for attaching the new Concourse 0 terminal and its 11 passenger gates to the east of the existing Terminal 1 structure along the northern end of the LAX complex. A second new terminal, Terminal 9, will bring 12 new gates to the southern end of the airport, where it will be met by an extended run of a forthcoming automated people mover (APM) that is currently under construction. The Los Angeles Times reported that the expansion plans include reconfiguring existing airplane runways, including on the northern end of the airport, where earlier plans to retool runway facilities produced outcry from neighboring communities concerned about noise, pollution, and other negative impacts. The proposed runway changes involve reconfiguring the airport’s road network while maintaining the current distance from those communities. 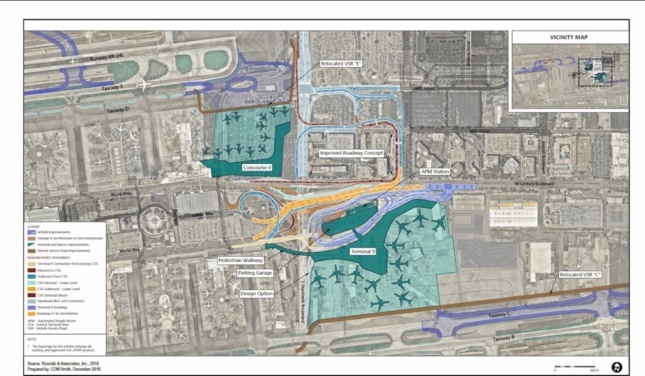 The plans come as Los Angeles World Airports, the entity that runs LAX, works to complete a $14 billion facilities upgrade plan for the airport’s existing roads, terminals, and associated transportation facilities. 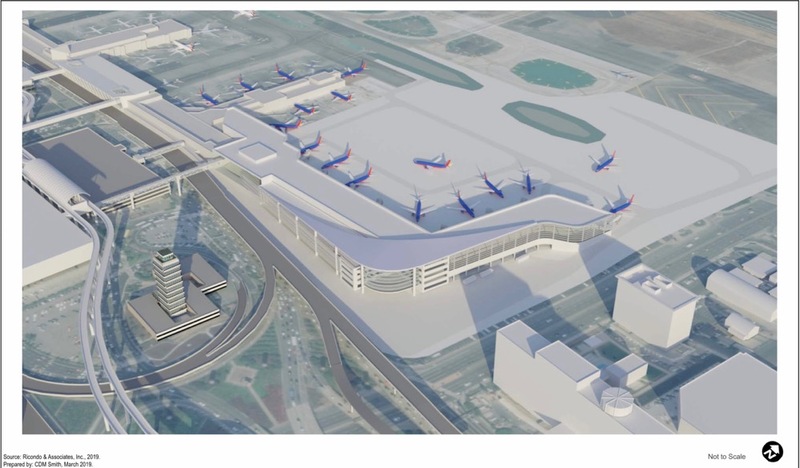 That plan includes a $1.6 billion Gensler and Corgan–designed terminal that will bring 12 new gates to a mid-field site capable of handling new “super-jumbo” airplanes for long-haul international flights. 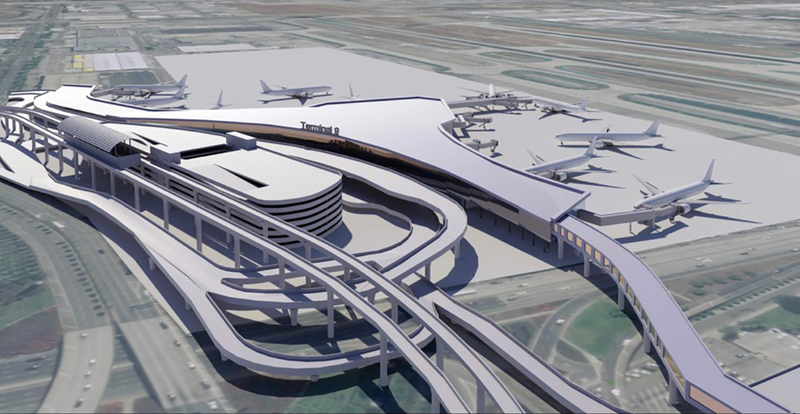 The project, known as the Midfield Satellite Concourse (MSC) will connect to the existing and recently-expanded Tom Bradley International Terminal via a pair of underground tunnels that will feature moving sidewalks. Along with the APM, L.A.’s transit authority is also at work adding a new light rail station to the airport that will link LAX with the county’s regional transit network. The station is set to open in 2022 and will eventually make the airport accessible via two light rail transit routes, the Crenshaw and Green Lines. Those elements, in turn, will be joined by new consolidated parking, rideshare, and taxi facilities. The preliminary environmental document for the latest round of additions only provides a general timeline for completion that is subject to further review. The plan envisions the improvements being made by 2028.